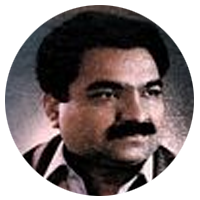 Ranjish.com has lots of Urdu Abbas Tabish Poetry. Feel free to add your own Abbas Tabish Shayari here. Abbas Tabish is a well known Urdu Poet. He has come up with lots of good poetry out of no where and influenced lots of upcoming poets with his style of poetry. Ranjish.com is the best place to read Abbas Tabish poetry. Log kirdar nibhate huye mar jate hain..
Ajeeb taur ki hai ab ke sargiraani meri..
Tum apne paas na rakhna koi nishaani meri..
Patti baandh ke mujh ko tanhaa chorr diya hai..
Jaane kis ne dusri jaanib rassa chorr diya hai..
Hairti ban ke dikhate hain chale jate hain..
We update our poetry database on daily basis so keep coming back for more Abbas Tabish.